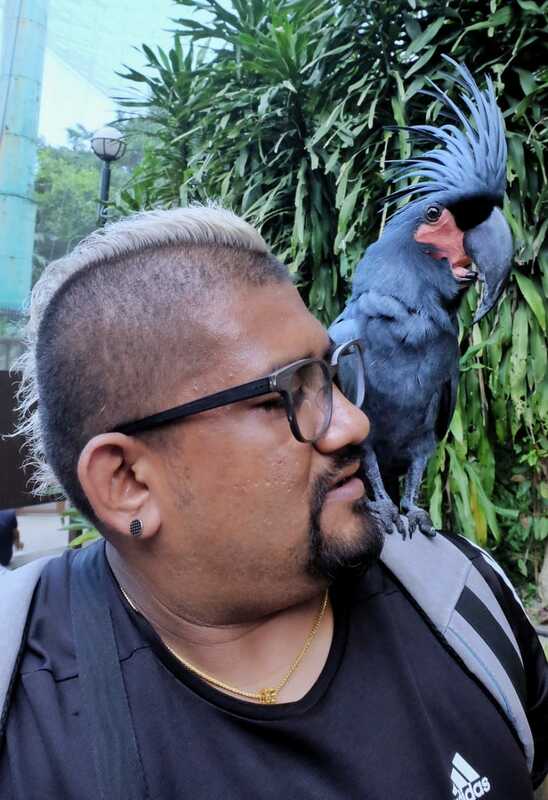 KL Bird Park Located in the serene and scenic Kuala Lumpur Lake Gardens, It is home to more than 3,000 local and foreign birds of approximately 200 different species. Sprawling approximately 20.9 acres of verdant valley terrain, the park is divided into 4 zones; Zone 1 and 2 make up the free-flight zone; Zone 3 is the Hornbill Park and Zone 4 is where the birds are placed in separate cages and mini aviaries. The main feature that distinguishes KL Bird Park from any other bird parks is the concept of free-flight. The availability of numerous suitable nesting sites; bountiful sources of fallen leaves, branches and twigs makes KL Bird Park a highly conducive environment for breeding. Further proof of this would be the year after year of successful breeding seasons. Therefore, this concept of free-flight not only provide the patrons of the park with an experience that closely resembles life in a tropical rainforest, but it is also perhaps the best way to ensure the survival and species continuity of these birds. I get an exciting experience of watching colourful and melodic birds perching and winging about freely while relaxing in a natural and beautifully landscaped surrounding. KL Bird Park is also wheelchair-friendly and is reputed to be the largest free-flight walk-in aviary in the world. *Child from 3 - 11 years old. **Above prices are inclusive of 0% GST charge. The Park is open daily from 9.00am to 6.00pm including Public Holidays and School Holidays.